First video I've found that shows the aftermath of the play, which is part of what made it so memorable to me. Absolute madness. Everyone swarmed the field because I guess they assumed it was a true walk-off TD like in overtime and the entire Saints team went to their locker room. 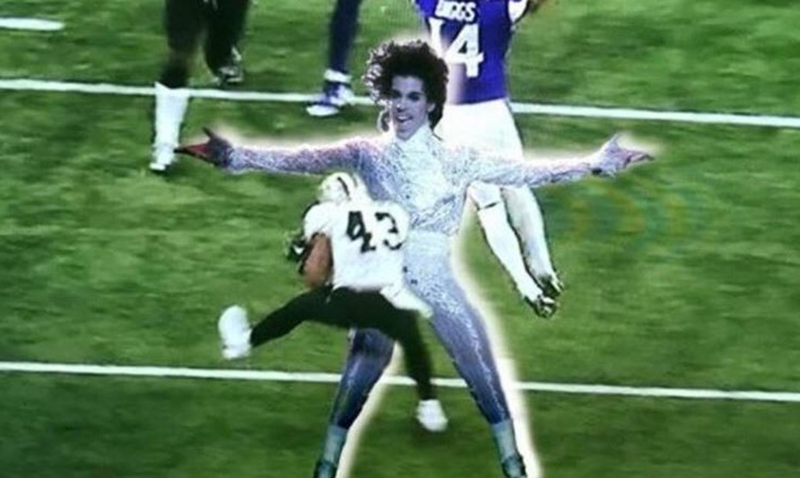 It took them eight minutes to clear the field, drag a few Saints back out, and line up for the PAT, for what has to be one of very few if not the only time(s) a team has ever taken a knee during the attempt. Also, there's a Wikipedia page already. I'd like to dedicate this win to Brett Favre. No matter what happens next week Case deserves a lot of respect. I don't think we would have had the results we did this year with Teddy or Bradford. Yeah, he's put together a really impressive season, and not many QBs are able to go toe-to-toe with Brees in the playoffs and come away looking good, even when considering defensive strength. "The Minneapolis Miracle" I love it. Everyone was talking about it at work today. I am ashamed that I didn't stay to watch it. Though, we never know when things like this will happen, and sometimes the ups and downs of football can really get to me. Watching that clip again, you can really hear the feigned/forced excitement in Joe Buck's voice. Boy he was not happy with that result. I understand about the ups and downs of sports getting to you. I can relate to especially back-and-forth playoff games being a somewhat draining experience. Fingers crossed for the coming weeks though! Aside from Joe Buck ( ) some people have posted a bunch of radio calls for the play too. The Saints' broadcasters weren't too happy, obviously, but the Vikings' radio team was thrilled. I was just wondering what Paul Allen's reaction was. Found on the Vikings subreddit. Seeing that clip from 2015 started the waterworks for me. The Sam and Frodo video is great. Why, exactly, does the NFC game have to be on at six? I have a hard enough time staying up past 7:30 as it is. That was great. I love what the Vikings have done with the Skol chant. Was really cool seeing Iceland do it at the Euros and if anything Minnesota has improved on it. It would be stupid to start feeling confident at this point, given 28-3, but I am at the very least glad the Jaguars are putting up more of a fight than the Titans did. I am not watching the Cheatriots. Yeah 14-3. Cheatriots will figure out their defense and come back and quash them during the second half. That's typically what happens. The Pats are playing very well, though. Football seriously isn't any fun when the same team wins over and over again. Eh, I'm not happy about the result but good teams consistently doing well is just part of sports. NFL actually has relatively more parity than a lot of leagues thanks to stuff like the salary cap. FOX's little piece with Case Keenum about the miracle finish is nice to see though. There's no point in watching if I know the Patriots are just going to steamroll everyone. And now they're coming to my state? To win a super bowl? Please hand me my barf bag. All the Patriots Super Bowl under Brady, both the wins and the losses, have been decided by margins of a touchdown or less. They're not predestined. It's fun to cheer along but ultimately I just enjoy watching the games and try not to get too emotionally invested in something that at the end of the day is just entertainment. Encouraging start by the Vikes but yikes at that knee to the back. I cannot separate the emotion from the entertainment when it comes to football. I do not want to see the Vikings lose a super bowl at home against the Cheatriots. That would be too soul-crushing.